It’s been a decade since the Residential Tenancies Act got a facelift, and on Nov. 15, changes took effect to the law that governs rentals. The amendments came after years of consultations with landlords and tenants. “I think it will serve both parties: both the tenant and the landlord,” says Rex MacLaine, executive director of the Investment Property Owners Association of Nova Scotia, which has 120 members representing about 35,000 rental units. Under the old act, tenants had to rent a residence for five years before getting tenure. Now, landlords automatically renew the leases of those without fixed-term contracts unless the tenant is behind on rent, behaves badly, maintains the unit poorly, makes an unauthorized sublet or isn’t following municipal by-laws. MacLaine says the “probation” period before tenure was granted allowed landlords to screen tenants. He says the five-year period was a bit “redundant,” and landlords rarely evicted tenants after a couple years, but his association would have preferred a one-year tenure period. Megan Deveaux is unsure whom this amendment is intended to protect. The community legal worker at Dalhousie Legal Aid Service predicts that “fixed-term leases are going to, if not become the norm, at least increase” to get around the tenure changes. She says landlords may also impose an “astronomical” rent increase to force out unwanted tenants. Unlike land-lease communities (once known as mobile home parks), rent increases for apartments or homes are not regulated. Under the new legislation, landlords of land-lease communities may increase rent annually based on a figure the department of Residential Tenancies sets, which is calculated according to the cost of living index for Nova Scotia. The tenant cannot appeal this increase. For Bob Richards, who worked on the amendments with the government on behalf of the Manufactured Housing Association of Atlantic Canada, this change will make the legislation fairer for both parties. “For the tenant, they have some idea of what they can expect for rent increases,” says the owner of two land-lease communities in Bridgewater. Should a tenant not pay rent, the landlord can issue a warning after 15 days, and then order a hearing before the Residential Tenancies Board 15 days after that. The same process applies to evictions. Deveaux says this change to the act — tenants were once given a notice after 30 days — makes it more difficult for tenants to file for an appeal with the board, especially if they are working or don’t have access to a car. She says to request an appeal, tenants have to visit an Access Nova Scotia office, and none are on peninsular Halifax or in downtown Dartmouth. “What a name to call it: Access Nova Scotia,” she says, adding that clerks dealing with tenancy issues can only be found Mondays to Fridays from 8:30 a.m. to 4:30 p.m. 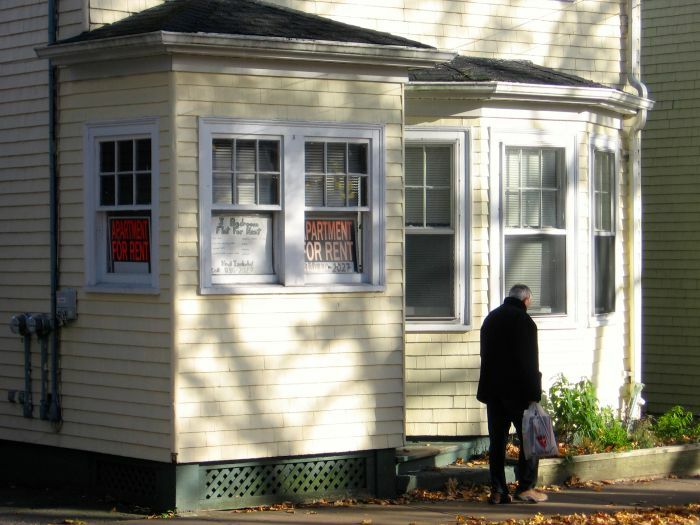 Her concern has more to do with Access Nova Scotia than the Residential Tenancies Act. Deveaux says it’s hard to say whether the act itself is weighted in anyone’s favour. She jokes that every landlord she encounters says the legislation is biased towards tenants, and tenants say the opposite. Landlords can charge a maximum $75 sublet fee. Land-lease community landlords can increase rent annually by an amount dictated by Residential Tenancies. Rental contracts, except fixed-term leases, are automatically renewed. Tenants can terminate fixed-term leases early for health reasons. If rent is 15 days late, landlords can give tenants a 15-day notice to quit. Tenants can pay rent, end the lease or appeal the notice. This article was originally published in the Halifax Commoner.